Building a new home is a dream for many people. Getting exactly what you want in your house is the end result — you hope. But challenges will face you through many of the steps. Mistakes, delays and Mother Nature happen, and sometimes your patience or checking account runs low. 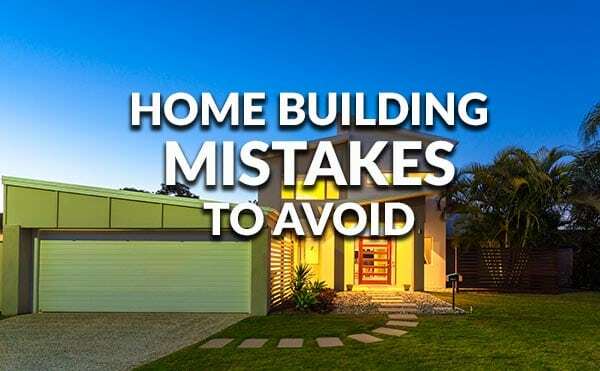 To avoid some pitfalls of building a new home so you come out on the other end with all smiles, two home building experts talk about what to avoid and what to watch for during the entire process. If you are a first time home builder, you need to know the different types of builders, and the pros and cons with all of them, says Rick Storlie, CEO at New Home Sales Coach LLC in Minneapolis. He also works with Thomas David Fine Homes. This is someone building from a pretty predetermined plan and options. You don’t get to change anything. The good thing with production home is that you get to walk through a model home, and you get a quick delivery. You can visualize what you will get. It’s usually cheaper, and they are usually national builders and building a mass quantity of homes. This is typically a local or regional builder. You start from a plan. You can make edits and customizations. You can walk through a model getting the benefit of seeing what it could look like. It’s a little more expensive than a production builder house and it might take a little more time. The biggest difference from the other two is the builder designs around your lifestyle. The other is you designing your life around the home, David says. Custom homes start from a blank slate. The disadvantage is you can’t see the house. You can look at plans and see a 3-D plan to get an idea, but you can’t walk through the house. This doesn’t necessarily make it more expensive, though. If you have a good building partner and you have a budget, the builder will help you craft the home and not go over your budget. Aulner suggests getting inside one or more homes that the builder has completed. Open the drawers. Check the closets. Look at all the types of finishes in all the rooms especially the bathrooms and kitchen. What does the paint job look like? Are they using high end windows? Is the carpet inexpensive? What are the countertops made of? Know what questions to ask your builder. And, of course, check references with people who have worked with these builders. Storlie adds that most people start out looking for a lot and floor plan. But they should first interview builders that can meet or exceed their expectations. For instance, if your expectation is to have a musician’s studio in the home, then don’t interview a production builder. “The biggest mistake and biggest cost is that when everything is built and you didn’t get what you wanted. It’s too expensive to remodel or move right away,” he says. For some people without a huge budget, you have to compromise on some things, Storlie says. “We get so many people on a beer budget with champagne taste. Learn what you are willing to compromise on,” he says. For instance, are you willing to go with a semi-custom home rather than a totally customized home to save your budget. Most first time home builders think about how much house they can get for the money. They fall in love with the initial price, but that low cost can get expensive a few years down the road when the kitchen cabinets are falling apart or the builder used lower skilled labor and lower quality products. You build that dream home, and then six months down the road, a big box store is built across the road. Your peacefulness is now interrupted daily by heavy traffic. Storlie says you can go to any municipality to see their zoning plans or long-term concept plans to see what future plans for building are. Make your plans as flexible as possible, he says. As your needs change, you can repurpose spaces. What might be a formal dining room can turn into a home office or main floor toy room. The guest room with a nearby bathroom on the first floor can become an aging parents’ space. “It comes down to your lifestyle, and your future lifestyle,” Storlie says. “Think about all the things you need and want. Would four bedrooms be better than three because you eventually want to work from home? How often do you entertain or have relatives visit regularly? Do you have plans for more children in the future? Does the idea of a beautiful fireplace in your family room warm your soul? Do you have kayaks, golf clubs and gardening tools that need more storage? 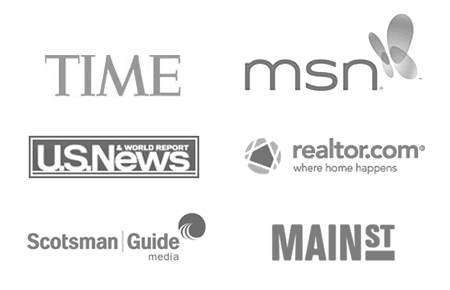 Click to start the home buying process. Next story What Makes A Mortgage Affordable?